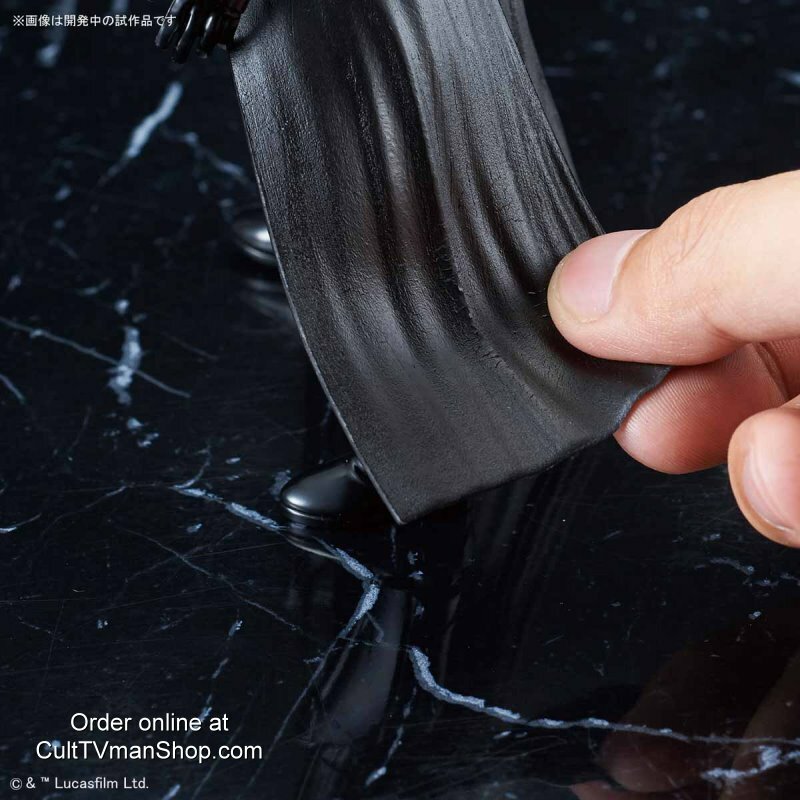 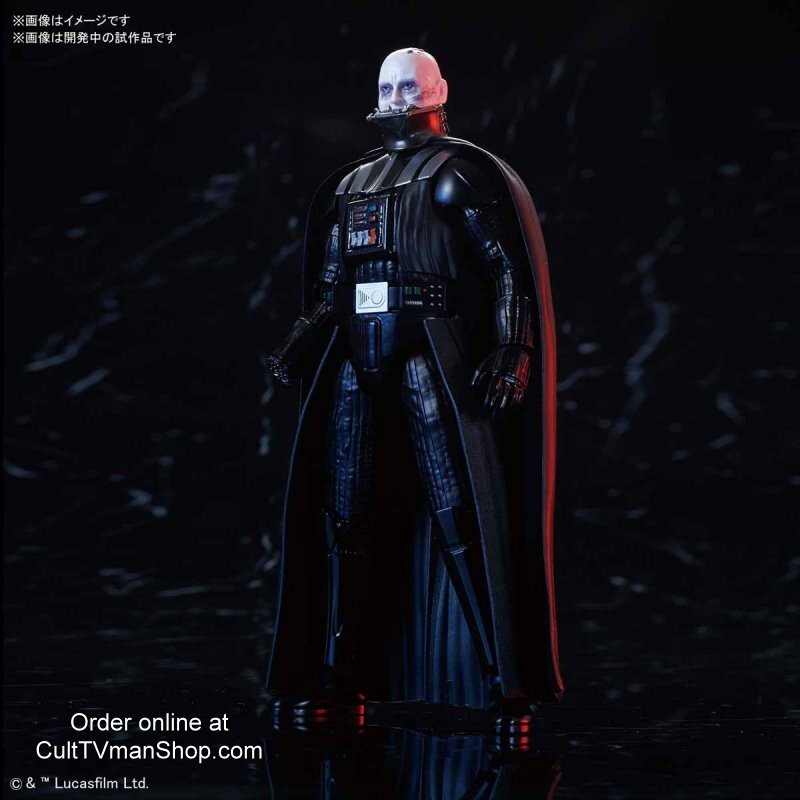 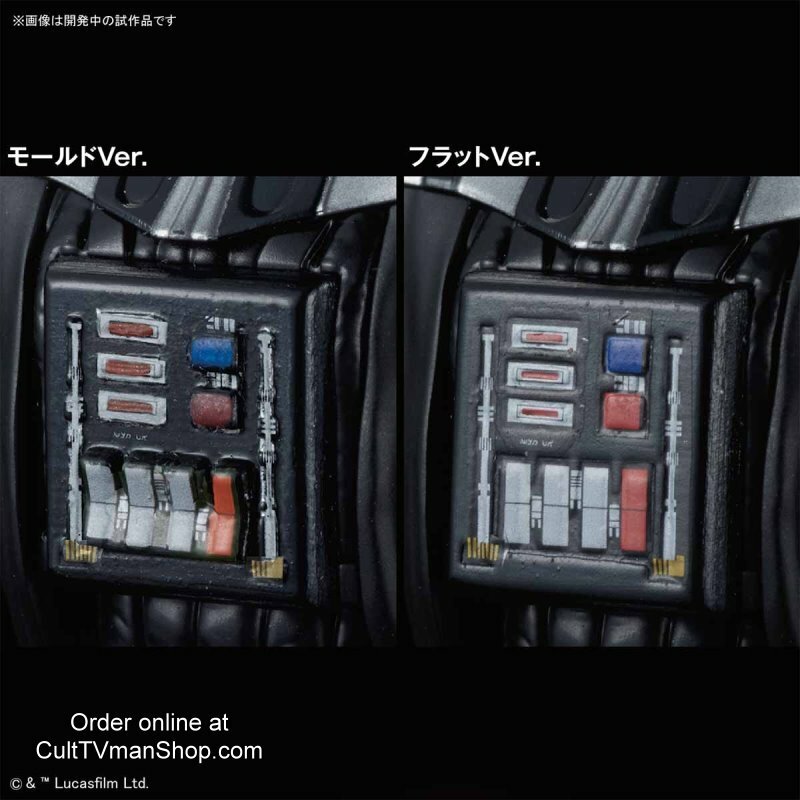 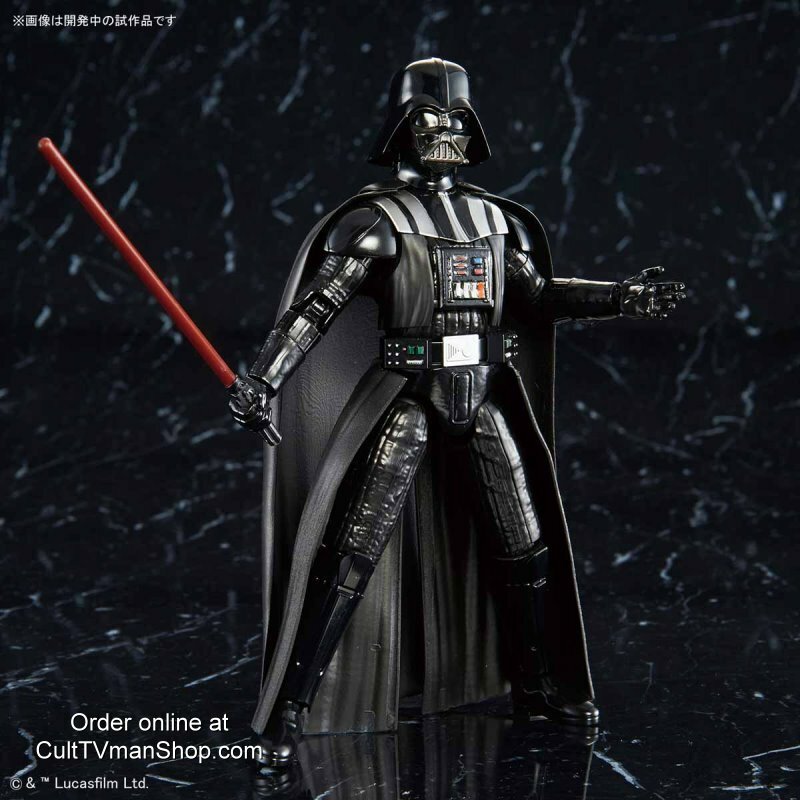 New Return of the Jedi Darth Vader kit from Bandai. 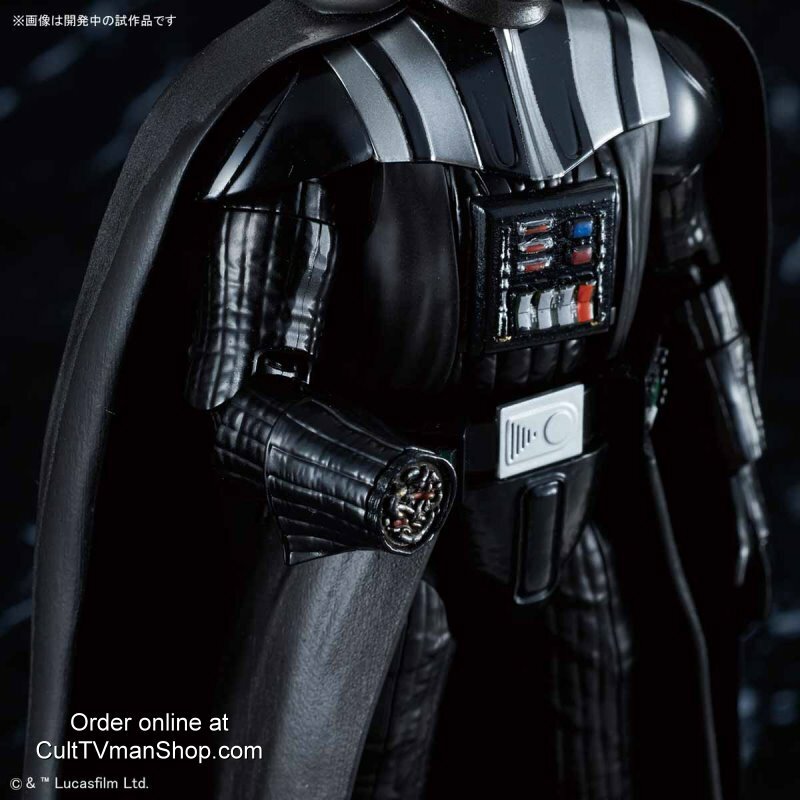 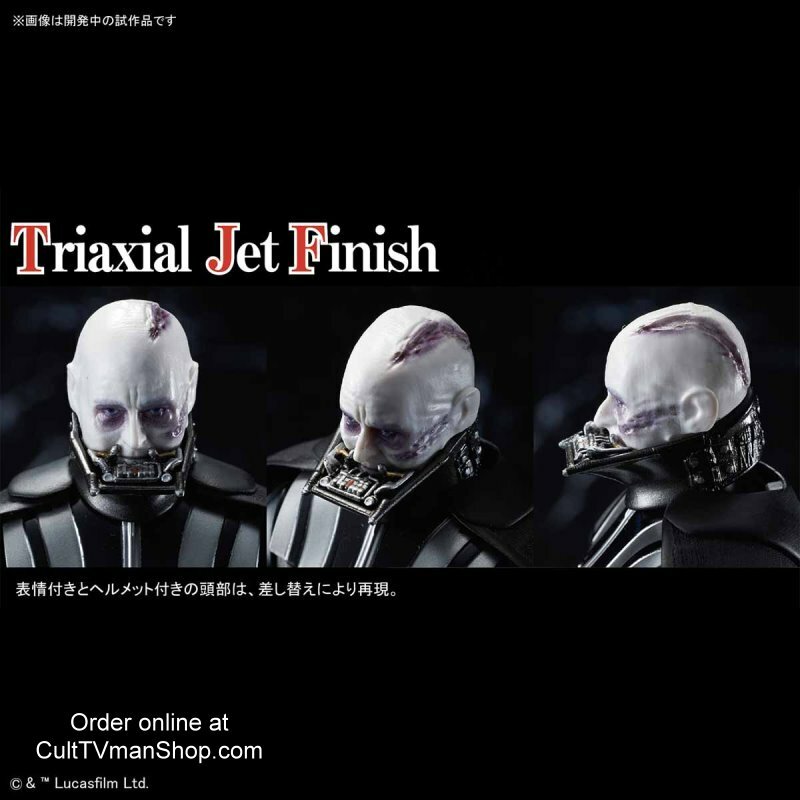 This 1:12 scale figure will feature Anakin with a Vader helmet. 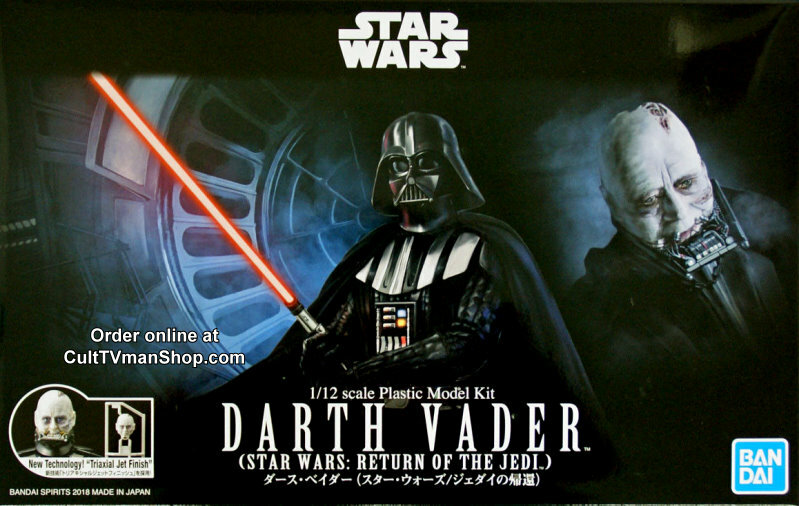 Includes alternate chest plates, plastic cape and alternate cloth cape, damaged arm, base, and light sabers.